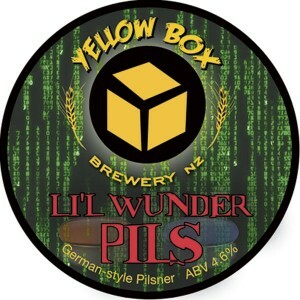 Li’l Wunder Pils is a traditional German-style Pilsner brewed using only NZ grown malts and hops. The malts are from Gladfield Malt in Canterbury and the hops are all New Zealand varieties grown in Nelson. An easy drinking well balanced beer with a good malt base and subtle hop aroma. A very clean taste with hints of crispness but not too dry. It will be available only on tap for a start so keep an eye on our Facebook page for updates on where you can get it.